By John F. McKenna (McJack): Five time Trainer of the Year Freddie Roach has told ESPN that he thinks that the much ballyhooed fight between his prize pupil WBO welterweight champion Manny Pacquiao (54-3-2, 38 KO’s) and undefeated WBC welterweight champion Floyd Mayweather Jr. (42-0, 26 KO’s) will happen. Roach also believes that Mayweather has been ducking the “Pacman” for the past couple of years. “I do. We’ve been chasing him for two years now and he’s just so crazy about protecting that zero on his record because he can say he’s better than Sugar Ray Robinson and all these great fighters. It’s not a disgrace to lose, but I think in his mind he’ll lose that argument that he’s the best fighter because he’s never been beaten. “May 5th is kind of soon, for a fight of this magnitude you need time, you’ve got to promote the fight right, and again it’s about negotiations: Who’s going to get what. Is it going to go 50-50? He (Mayweather) wants 70-30, there are a lot of details to be worked out and the May 5th date is a little soon. Roach went on to say that the Pacquiao camp has been chasing Mayweather for two years and has agreed to all of Mayweather’s demands including the blood testing. Roach said that Floyd wants to make all the rules and only wants to fight in Las Vegas and will not fight in some of the bigger venues a fight of this magnitude would require. Roach reiterated that Mayweather would not be permitted to make all the rules, saying it is not going to happen. Roach in acknowledging that styles make fights, admitted that Juan Manuel Marquez gives Manny problems. 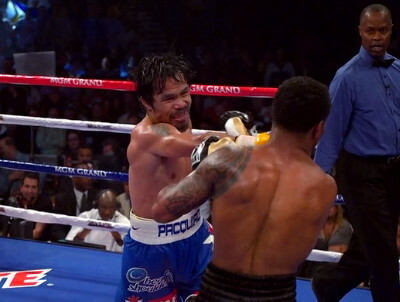 Against Mayweather though he feels that Pacquiao’s high volume of punches would be Floyd’s undoing. Roach said that Pacquiao averages 85 punches a round while Mayweather averages about 1/3 of that. Roach said that in the end Manny will overwhelm Floyd with his high volume of punches.